David Daleiden claimed to be an undercover journalist when he investigated Planned Parenthood. Is an Anti-Abortion Activist With a Camera a Journalist? And what would that mean for journalism? 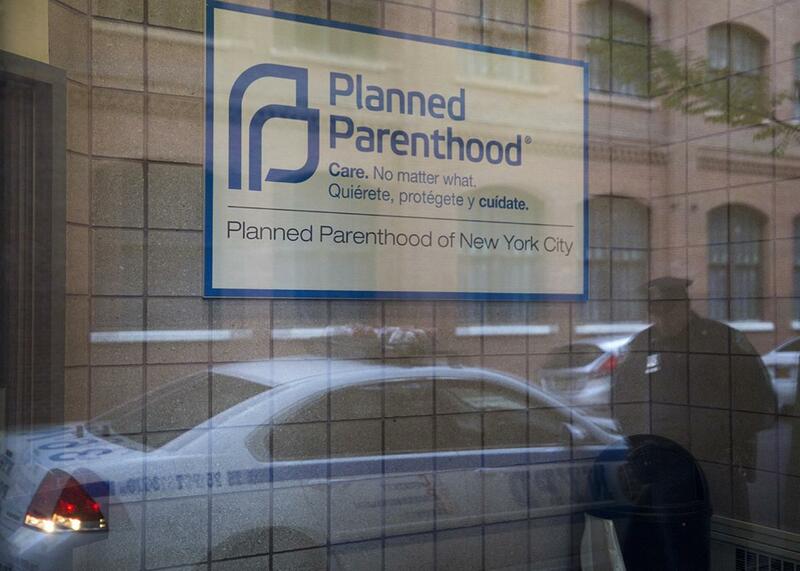 A member of the New York Police Department stands outside a Planned Parenthood clinic in the Manhattan borough of New York, Nov. 28, 2015. Last week I wrote about the surprise ending to a Texas grand jury’s investigation into alleged criminal wrongdoing by Planned Parenthood. After months of digging, a Houston grand jury declined to indict the health clinic but instead upped and indicted the Center for Medical Progress founder David Daleiden and his employee Sandra Merritt for tampering with a government record (creating fake California driver’s licenses). Daleiden was also tagged with a misdemeanor charge for his written attempts to purchase human organs. Immediately a small First Amendment firestorm kicked up, questioning whether Daleiden’s prosecution imperiled journalists and journalism and—perhaps more pointedly—whether Daleiden is even a journalist in the first place. On the other hand, is it so simple to say that what CMP was doing was truly journalism? Amanda Marcotte has argued at Salon that Daleiden “has no right to call himself a journalist,” in part because when the hours of footage he shot failed to turn up any examples of criminal conduct on the part of Planned Parenthood, Daleiden didn’t back off the story but doubled down on it. Indeed he allegedly falsified evidence, so the videos would show through trickery—including flawed transcripts and stock images—that which he could not prove. In an interview in On the Media this week, Jane Kirtley, professor of media ethics and law at the University of Minnesota, similarly explained that American courts have almost always found that general criminal laws apply to the press, unless a story is so terrifically important it couldn’t have been unearthed any other way. That might justify allowing journalists to be immune from prosecution, but only a small handful of such cases exist, and as Kirtley points out, it will be difficult for Daleiden to claim that his actions were critical to exposing vast criminal wrongdoing on the part of Planned Parenthood, given that the grand jury’s own investigation, and 11 independent state investigations, have unearthed no wrongdoing. The difference between journalism and what CMP did is that journalists seek truth, while Daleiden seeks to show that somewhere in between the edited seams and faked voiceovers of his films there lies a truth he cannot quite prove but wants us to believe anyhow. That can be called many things, but “journalism” probably isn’t one of them. Dramatists, indeed. It’s hard to know, right now, whether Daleiden plans to use some kind of reporter’s privilege argument to defend against the criminal charges in Texas, and we have already seen that this argument has not fared well in his civil case in California. But even if Daleiden is simply making a rhetorical argument—rather than a purely legal one—about the dangers of going after dedicated undercover reporters, he may be stretching the very definition of journalism beyond the bounds that the rest of us can accept. The central thesis of Gajda’s book is that when courts slap back at those who are claiming to do “real journalism” but aren’t, it’s invariably the real journalists who suffer. That’s why it’s more important than ever to be clear about whether anyone with a camera and a website is a reporter. In other words, it’s entirely possible that even while Daleiden attempts to argue that what he did—or at least what he now says he was doing—is genuine journalism, there are real risks to the rest of us in allowing him to make such broad claims. We aren’t merely risking our privacy and our livelihoods by allowing anyone with a camera and an inextinguishable fantasy to call himself a reporter. We are courting the possibility that his nihilistic and cynical view of the profession could someday become the norm.